We hope that you had a happy holiday and that your 2018 is off to a good start. In 2017, we held three "Pro Bono Representation before the U.S. Court of Appeals for Veterans Claims" trainings in the District of Columbia, Milwaukee, and in Atlanta. The Volunteer Outreach & Education Team is excited for the year to come. Mark your calendars for the following training dates. If you are already a trained member of our TVC National Volunteer Corps, please consider attending one of our receptions immediately following our trainings to share your Pro Bono Program experience with our newly trained volunteers. We look forward to opportunities to meet with and thank our amazing volunteers! Training: 9 a.m. - 5 p.m. Reception: 5 p.m. - 6:30 p.m. It was a successful growth year for our TVC Discharge Upgrade ProgramSM. In 2017, TVC conducted attorney trainings in Washington, D.C.; Dallas, Texas; Dayton, Ohio; and Columbia, Mo. With our TVC National Volunteer Corps, we hosted multiple discharge upgrade clinics, represented veterans in personal appearance hearings, and submitted numerous applications. In just the previous 12 months, the program assisted more than 420 veterans. The number of inquiries continues to increase, and we look forward to serving even more veterans in 2018. Our TVC National Volunteer Corps of trained attorneys and associated pro bono professionals represent veterans in need of assistance with discharge upgrades due to Post-Traumatic Stress Disorder (PTSD) and residuals of Traumatic Brain Injury (TBI). Pro bono attorneys can aid in upgrading the discharge to secure eligibility for the care, benefits, and compensation that veterans were promised and to restore the dignity of our country's warriors. This program is also an excellent opportunity for paralegals and administrative staff. For more information about our nationwide TVC Discharge Upgrade ProgramSM, contact Danica Gonzalves at upgrades@vetsprobono.org. The Veterans Consortium Pro Bono Program was recently recognized for our transparency with a Gold Seal on our GuideStar Nonprofit Profile. GuideStar is the world's largest source of information on nonprofit organizations. More than 8 million visitors per year and a network of 200+ partners use GuideStar data to grow support for nonprofits. In order to get the Gold Seal, TVC shared important information with the public using our profile on www.guidestar.org. Now, our community members and potential donors can find in-depth information about our goals, strategies, capabilities, and progress. 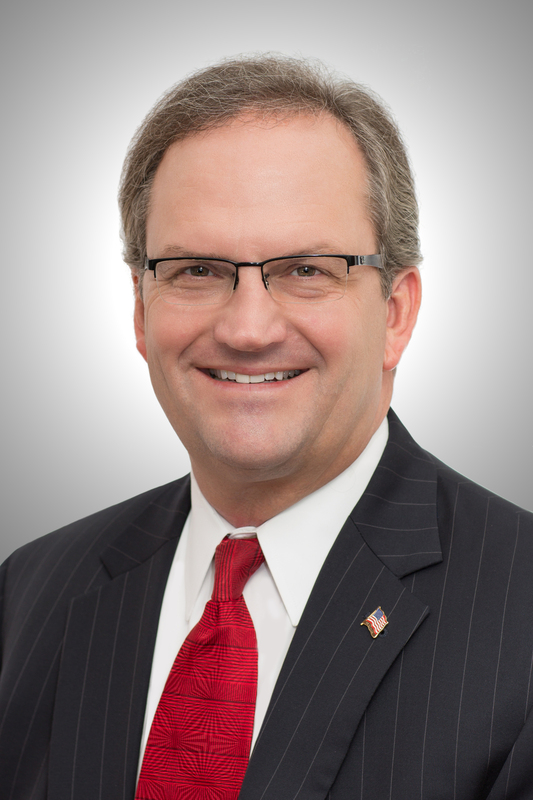 "This is a great honor because our nonprofit aims to serve veterans, their families, caregivers, and survivors, while being transparent"" said Ed Glabus, executive director. "We always endeavor to be that 'open book' for the public to better understand our mission and how we help those who have served." We believe that our veterans in need ~ our nations defenders ~ deserve the care, benefits, and compensation they were promised and the best legal services, free of charge, to meet their challenges. 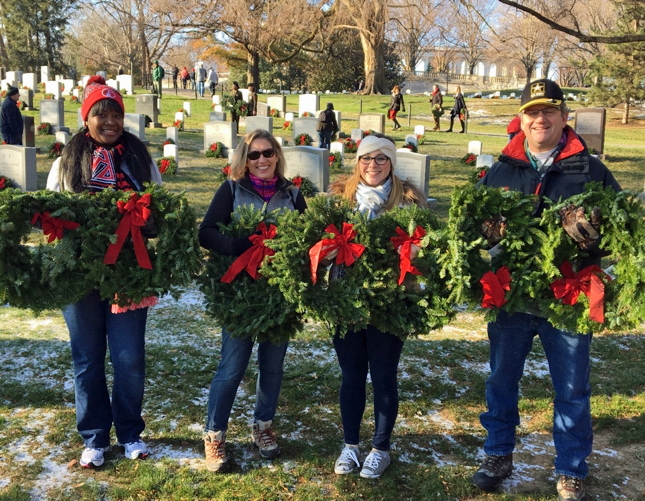 Thank you to all the members of our TVC National Volunteer Corps that participated in Wreaths Across America on 16 December to place wreaths on the graves of our country's fallen veterans at Arlington National Cemetery and veterans cemeteries across the country. This was a great experience for all who participated and a great way to pay tribute to those that served our country. We hope to see more volunteers next year at this annual event. 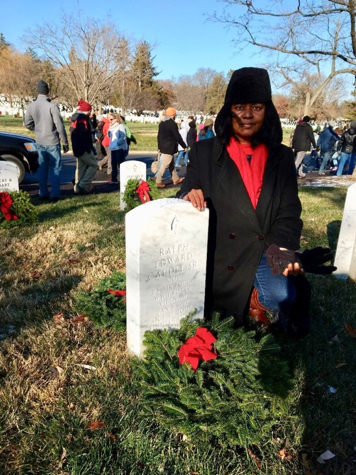 On Saturday, 20 January there is another opportunity to serve at Wreath Retirement Day, also known as Wreaths Out, at Arlington National Cemetery. The remembrance wreaths placed on the headstones of our nation's fallen need to be respectfully removed by volunteers. This event draws far less crowds than the wreath laying ceremony and volunteers are always in demand. Registration is NOT required to participate. Just show up! You will be outside the whole time so please dress warmly. Parking is not available so plan on taking the metro. Click here for more information about volunteering for this event at Arlington National Cemetery. Wreath Retirement Day is coordinated locally, with dates and times set by each location coordinator in conjunction with the cemetery administration. Contact your nearby veterans federal or state veterans cemetery for local opportunities to participate in scheduled Wreath Retirement days. What a year of change and innovation! Many great things happened while serving our clients in 2017 in their cases before the Court of Appeals for Veterans Claims. New technology was developed and used (the online application, informal brief builder, a new website, online videos and tutorials) to help better serve our potential and current clients. We found ways to streamline our processes to be more effective and efficient, which allows us to help more people. Talking on the phone to veterans and their family members, as well as those who assist them, helping them understand and navigate the ever-complex world of VA appeals and the federal Court system is so rewarding. Our skills were strengthened through training and keeping up with the latest news and laws in the VA world. This year was fast paced, exciting, and filled with many opportunities. We are ready for 2018 and look forward to helping more veterans and their families, caregivers, and survivors. In 2017, TVC operationalized its various pop-up legal clinics in the Washington, D.C. area by stepping forward as managing partner for a recurring Veterans Pro Bono Legal Clinic at the Washington DC VA Medical Center (DC VAMC). We operate this Legal Clinic at the DC VAMC weekly to (1) facilitate pro bono opportunities in veterans law for law students and introduce them to the federal Pro Bono Program, (2) help recruit attorneys for the Pro Bono Program to represent pro se appellants before the US Court of Appeals for Veterans Claims, and (3) provide an opportunity for our TVC staff attorneys to do their personal pro bono service, all while serving veterans in need. Every Friday, volunteer attorneys and law students meet with veterans to conduct triage based on their stated needs, offer information and resources, and provide referrals. This Legal Clinic is completely free of charge and is administered in partnership with Neighborhood Legal Services Program-DC and the Transition & Care Management office of the DC VAMC, and is open to all veterans regardless of discharge status. It is staffed by dedicated volunteers from local law firms, corporate legal departments, and students from DC-area law schools participating in our TVC Legal Scholars ProgramSM. One high note, was the VA General Counsel personally volunteering and committing to future shifts in 2018. Since launching last May, our Legal Clinic has assisted nearly 450 veterans. Do you have a desire to make a meaningful impact on a veterans life but your schedule wont allow you to volunteer for a bigger commitment right now? Are you a law student considering a career in the field of veterans law or public interest law? If you are interested in volunteering for the day at the Veterans Pro Bono Legal Clinic, please contact Samantha Stiltner at Samantha.Stiltner@vetsprobono.org. IAn announcement from The Veterans Consortium looking for pro bono attorneys caught Leo Dombrowski's eye some twenty years ago. He was working in environmental law and trying to decide how to spend his pro bono time. Dombrowski, the son of a Navy World War II veteran and the son-in-law of an Air Force fighter pilot from three wars, decided to give it a shot. "I thought it would be a good place to do pro bono work so I did the training and I'm working on my ninth case," said Dombrowski, 61. He's 8-0 so far and humbly points to the excellent mentors he's been assigned to help with cases as the reason for so many victories. Because he works in a different area of law, it takes much more time to navigate on veteran's cases, he said. "But then the mentors come in and really help. They have really improved my work product." An Army veteran with Agent Orange exposure who Dombrowski helped receive a 100 percent rating for benefits was so thankful he and his wife took Dombrowski and his wife out to dinner. But that's not all. When Dombrowski's father died, this same grateful veteran drove some 50-75 miles from northwest Indiana to Chicago to attend the wake. 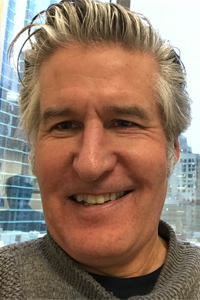 Dombrowski says even in his environmental law practice, such return kindness has never happened. His work with veterans is special. "I get good cases, my mentors have been fantastic, the veterans and their spouses are very grateful for the help," Dombrowski said. 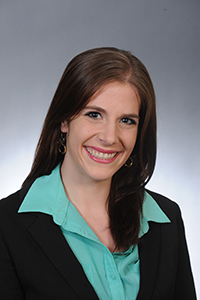 "I couldn't think of anything better to do with my pro bono time." 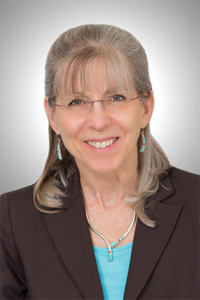 Cathy Klingler is one of The Veterans Consortium's longest serving employees. 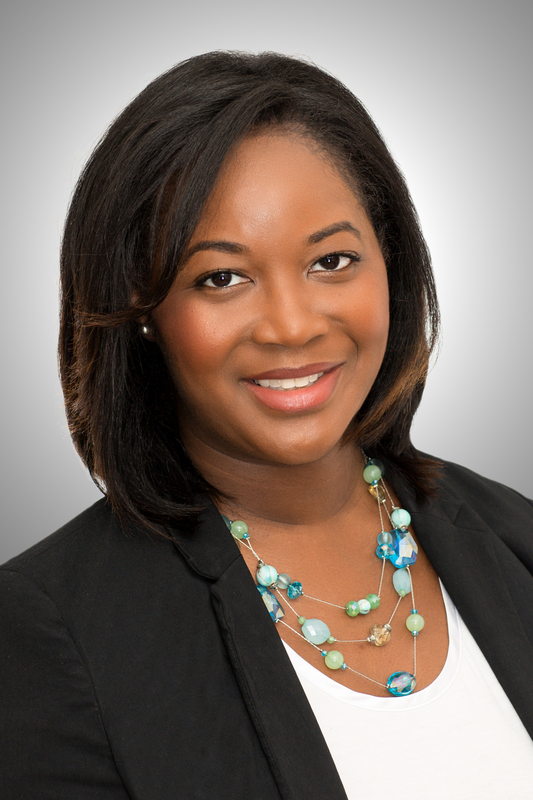 She joined the Veterans Consortium 17 years ago and serves as Docket Administrator. 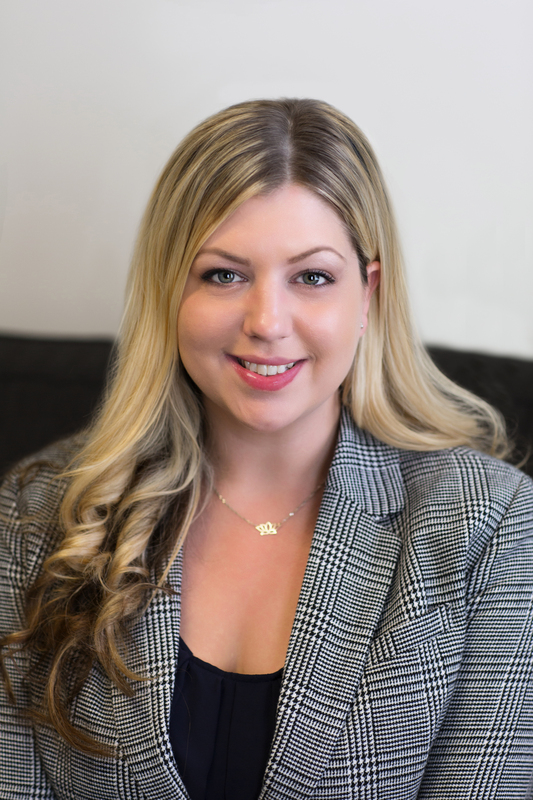 She has the critical paralegal job of tracking client due dates and docket activity at the US Court of Appeals for Veterans Claims (CAVC), and helping pro bono attorneys navigate the CAVC deadlines and stay on track. 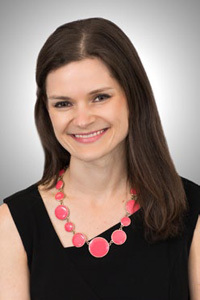 "When I first started working with TVC, I wore many different hats," said Klingler. "Talking directly to veterans opened my eyes to the many frustrations that veterans encounter, and I wanted to do all I could to help. Today, I play a supporting role to those on our team that have direct contact with the men and women serving our country." Cathy has a firsthand understanding of the sacrifices and difficulties that military members and their families face. Cathy's husband, Chuck retired from the Coast Guard and together they raised their family in the military for 22 years, including two tours in Alaska. In her free time, Cathy enjoys spending time with her husband of more than 43 years. She helps prepare engaged couples for marriage and organizes her church's homeless shelter each year. She keeps very busy with her grandchildren's activities and enjoys time with her adult children. 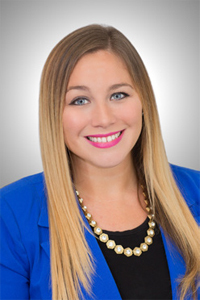 Cathy is an avid dancer and enjoys her jazz dance classes. She also serves as back stage manager at Sparks Dance Company's bi-annual danc concerts. 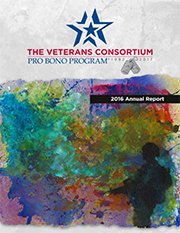 2017 marked the silver anniversary of The Veterans Consortium Pro Bono Program. With our dedicated TVC National Volunteer Corps, we've been able to assist veterans and their families, caregivers, and survivors from coast to coast. Over the past 25 years, our National Volunteer Corps, mission partners, and dedicated staff have handled more than 45,000 Veterans' requests for legal assistance, trained over 4,000 attorneys from law firms and corporate legal departments to represent veterans in need before the US Court of Appeals for Veterans Claims, assisted law schools in establishing veterans law programs or legal clinics, and succeeded in 82 percent of our cases in federal courts. In 2017, we grew our TVC Discharge Upgrade ProgramSM. This nationwide program provides legal help to veterans who were impacted by PTSD and TBI and received Other Than Honorable discharges. We also launched a weekly legal information and referral clinic at the Washington DC VA Medical Center. We implemented new processes, upgraded our website and online tools to help our clients and volunteers. All this while continuing to grow and train our exceptional TVC National Volunteer Corps and deliver equal access to justice for our veterans and their families, caregivers, and survivors. On behalf of these men and women — our nation's defenders — and their loved ones, thank you for your volunteer service and for your support of our shared mission.